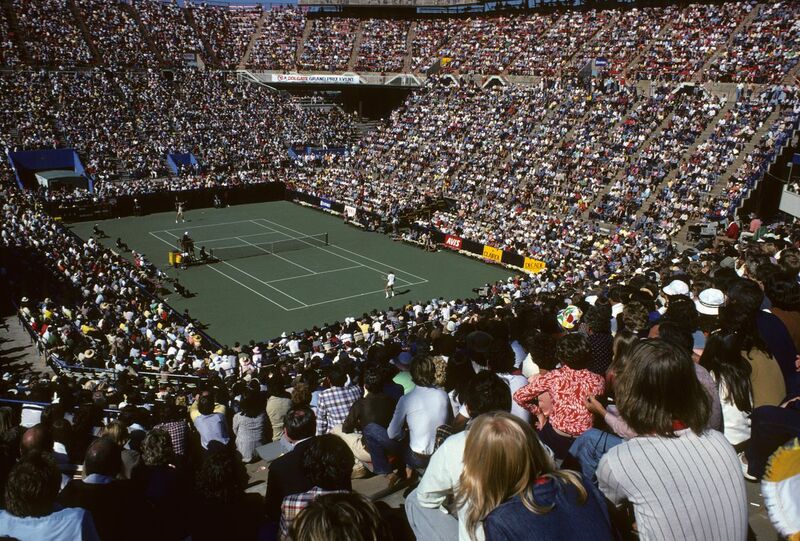 This year will mark the 50th anniversary of the US Open—and the 40th anniversary of the USTA Billie Jean King National Tennis Center, the longtime home of the fourth and final Grand Slam tournament. Located in Flushing Meadows-Corona Park, this massive complex includes 22 tennis courts, as well as nine courts in the adjoining park. In 2018, the tennis center will unveil the new and improved Louis Armstrong Stadium, the second-largest venue within the overall complex. It will be the second to get a retractable roof—tennis tournaments are often foiled because of rain—and will seat 14,000 people, up from the previous capacity of 10,200. Tennis fanatics, sports enthusiasts, celebrities, and regular New Yorkers alike descend on Flushing Meadows during the two-week tourney, which this year goes from August 27 to September 9. Nearly 700,000 people attended the US Open in 2017; with the opening of the new stadium and the 50th anniversary celebration (and Serena’s return, of course) that number will likely see a major uptick. Planning to head to Queens to check it out for yourself? Here’s what you need to know. Sloane Stephens is the defending champion in the women’s singles, after beating fellow American Madison Keys to snag her first Grand Slam title last year. The American hard courts are a favorite surface, so she’ll be one of this year’s top contenders. On the men’s singles side, tennis legend Rafael Nadal is the defending champion; for Nadal, it all depends on his fitness and form—on his best day he can beat the best players on the tour. 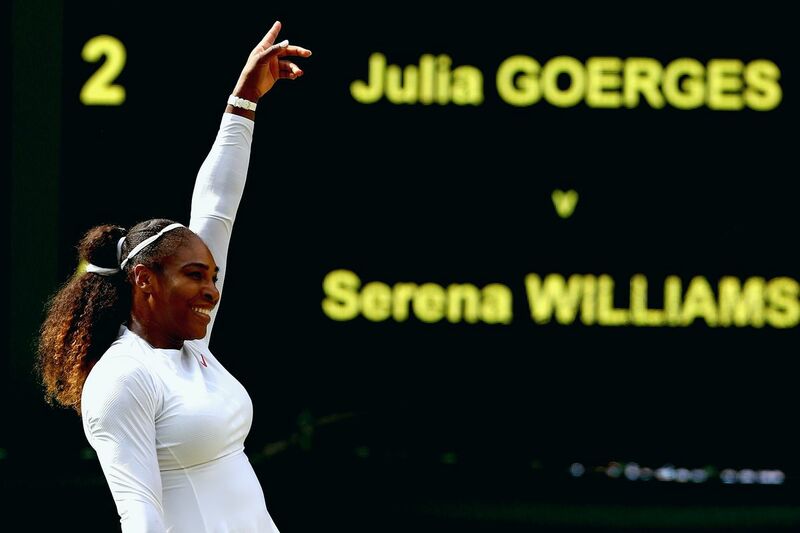 Serena Williams during the 2018 Wimbledon tennis championships. This year marks the return of living legend Serena Williams, who hasn’t graced the Queens courts since 2016. This year, she’s vying to pick up her 24th Grand Slam title, and tie the record held by Australian Margaret Court. Similarly, Roger Federer is always a contender on the men’s side, though his quarter-final loss at Wimbledon have raised some concerns about whether he will be able bring his top game to the US Open. A resurgent Novak Djokovic, the newly crowed Wimbledon champion, will also be looking to earn his third title at the U.S. Open. On the women’s side, Angelique Kerber, the 2018 Wimbledon champion, has been one of the most consistent players on tour this year. What’s more, she’s already won this title once in 2016, so expect her to be a major threat at Flushing Meadows. Driving is another option, but even USTA officials recommend using the subway. For those driving, however, parking is available on a first-come-first-serve basis and costs $23. Shuttle buses take you from the parking lots to the East Gate entrance to the complex. The U.S. Open has three main stadiums where you can purchased assigned seating: Arthur Ashe Stadium, the Louis Armstrong Stadium, and Grandstand. 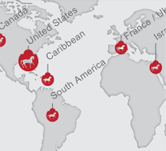 (The rest of the courts can be accessed on a first-come, first-served basis.) While the median ticket price ran up to $165 in 2017, a $60 grounds admission ticket is available for the first eight days of the tournament. This gives you access to all the outside courts, and to some seats at the Louis Armstrong Stadium and Grandstand stadium, also on a first-come, first-served basis. The most expensive tickets are usually for the men’s and women’s singles semi-finals and finals—last year, women’s final tickets averaged $497 and men’s came in even higher at $658. That being said, it’s good to know that even the “nosebleed” seats at the US Open stadiums are pretty great and worth it if you’re a tennis enthusiast. For those just looking to catch a glimpse of their favorite tennis stars without having to break the bank, consider going to the Arthur Ashe Kids’ Day on the Saturday before the tournament begins, where tickets run between $10 and $50 and the stars in attendance include Rafael Nadal, Angelique Kerber, Novak Djokovic, and Madison Keys. And if you want to watch tennis at no cost at all, consider watching the singles qualifying tournament, which runs from August 21 to 24 at the Tennis Center, and is completely free to attend. Aside from your usual stadium eats, there are some decent places to grab a bite within the USTA Billie Jean King National Tennis Center. The Food Village, a more casual venue between stadiums, is home to NYC favorites like Fuku, Melt Shop, Korilla BBQ, and Hill Country, among others. Many of those same food stands can be found in the stadiums themselves; Lure Fish Bar is also behind an oyster bar, located near the Grandstand. In recent years, complex has also added some fancier options into the mix, including Cafe Spiaggia in the South Plaza, David Burke’s Champions Bar and Grill, and the Mojito Restaurant and Bar, which has a menu inspired by Marcus Samuelsson. And if you’re imbibing, try the US Open signature cocktail, known as the Honey Deuce—it’s a potent combination of vodka, lemonade, and raspberry liqueur (garnished with frozen melon), and a real thirst quencher in the waning days of the summer. The USTA National Tennis Center in 1978. While it’s the 40th anniversary of the US Open being held at Flushing Meadows, this tennis tournament—known previously as the U.S. National Championships—has been in existence since 1881. It was first held on a grass surface at the Newport Casino in Rhode Island. It was restricted to men for the first five years, and only had entrants from tennis clubs that were a part of the United States National Lawn Tennis Association, making it a tournament that was only open to wealthy Americans. Women began competing in 1887, but for the first several years, they played out of the Philadelphia Cricket Club. After much campaigning from tennis players and spectators, the tournament was moved to Forest Hills, Queens in 1915, and it remained there for more than 50 years. The championships achieved many firsts at Forest Hills; it became the first of the four Grand Slam tournaments to introduce the final set tiebreak (when a set reaches 6-6 in the other Grand Slams, play continues until a player wins by a difference of two games); and in 1973, it became the first to award equal prize money to both men and women. The tournament moved to its current home, located just three miles from the Forest Hills stadium, in 1978. Louis Armstrong and the Grandstand opened first; those two stadiums sit on what was once the Singer Bowl, a venue that debuted during the 1964 World’s Fair and subsequently hosted The Doors, The Who, and other musical acts. Arthur Ashe opened in 1997, and was named for the late tennis legend, who won the first US Open in 1968. Over the years, the complex had gone from grass to clay courts and finally settled on hard courts at Flushing Meadows. In 2006, it was renamed for trailblazing champion Billie Jean King. The men’s and women’s singles champions will each earn $3.8 million this year, the largest purse ever for the tournament—prize money at the tournament has increased 57 percent since 2013. Though its a longer walk, consider entering the tennis center from the south gate to avoid the crowds that come pouring out of the Mets-Willets Point station and crowd the wooden boardwalk that leads to the entrance. Bring a light jacket. You never know when it might get chilly during one of the evening sessions—they can sometimes stretch well into the night. Carry an umbrella. While all three main stadiums at the U.S. Open now have retractable roofs that will protect you from the elements, you don’t want to get rained on while strolling through the grounds. Don’t bring a bag if you can help it; you have to stand in a separate line and pay to check in backpacks—the tournament allows one bag per person with the size dimensions of 12”W x 12”H x 16”L. Additional bags need to be checked at $5 per item, and it’s $10 if you’re bringing luggage. Bring sunglasses; glaring at a tennis court with bright sunlight can become strenuous on your eyes after a while. 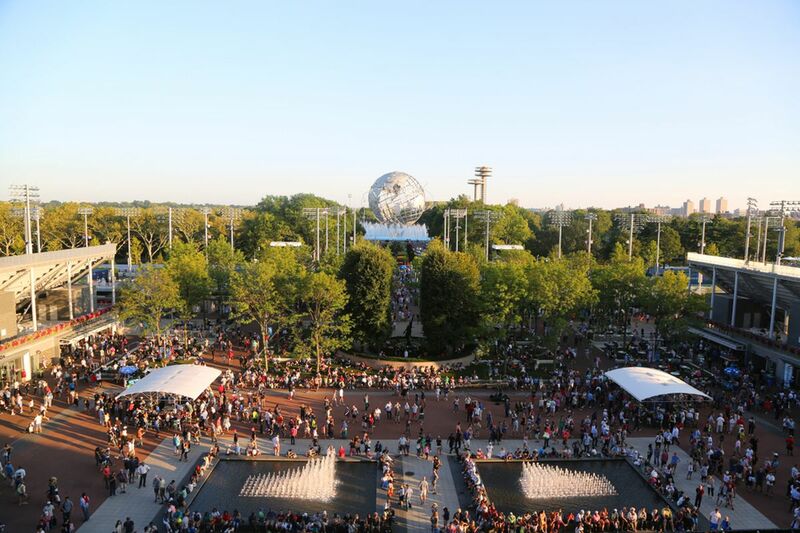 While you’re there, check out some of the other wonders of Flushing Meadows-Corona Park, like the Unisphere, which is just a short walk away from the tennis center. The US Open runs from August 27 to September 9, and a number of fan-focused events will happen between August 21 and 24—including the dedication of the revamped Louis Armstrong Stadium. You can purchase US Open tickets right here. You can find seating maps for all three of the USTA Billie Jean King National Tennis Center’s stadiums right here. Want to see iconic players like Martina Navratilova or John McEnroe on the courts? Head to Queens for the Legends Exhibition Matches, which are free and open to the public. 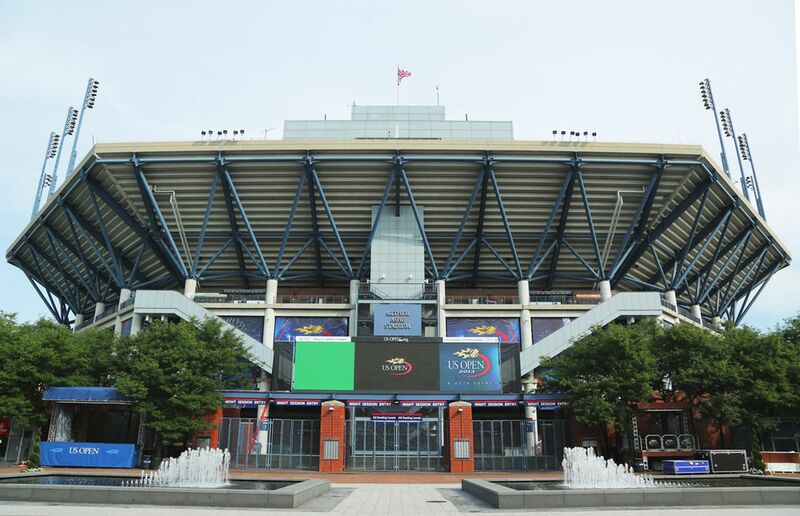 Between the Arthur Ashe Stadium, the Louis Armstrong Stadium, and the Grandstand, the center can hold nearly 46,000 spectators. Remember that Seinfeld episode where Kramer became a ball boy for the US Open? Alas, your chance to do the same has passed; tryouts were held in June.